No, Johannes Gutenberg has not come back from the dead. And no, the printing press has not been reinvented. 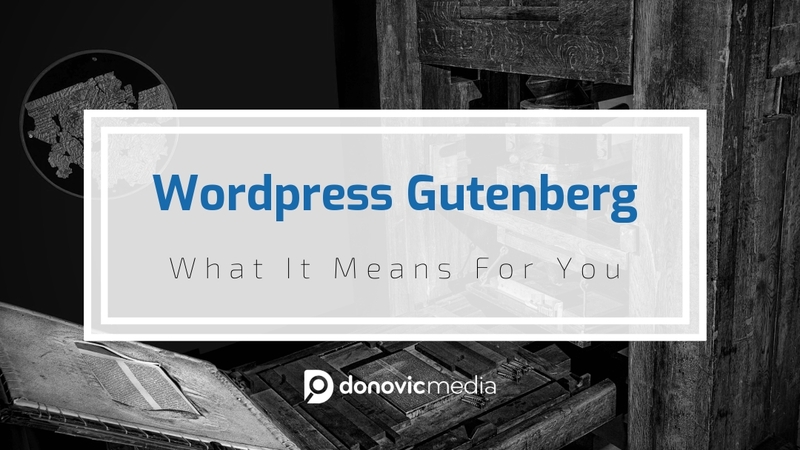 That said I haven’t ever seen something cause so much fear and controversy in the WordPress community as the WordPress Gutenberg Editor. Is it a fear of change (WordPress’s editor has remained mostly untouched for years now) or is it not ready for primetime? Let’s take a deeper dive into it all. As you can see, you can segment every piece of content into its own “block.” This will keep all your content organized and you won’t have to worry about formatting. No more fumbling with the classic editor to figure out what’s what. For the average person, it’s a cool concept, and I’m all for it in theory. However, I think the developers need to pump their brakes a little bit… there’s something that isn’t quite right yet. Are you using a page builder of any kind to expedite your site creation process? If so, you’re going to want to sit this one out until they fix it or ultimately force it upon you. Not all typical back-end builders will be visible and all you’ll see are shortcodes everywhere. If you’re using standard themes that don’t do shortcodes or use a proprietary WYSIWYG HTML editor, you’re probably going to really like the new Gutenberg Editor. This is especially true if you haven’t dabbled in the classic WordPress editor because it seemed a bit confusing. 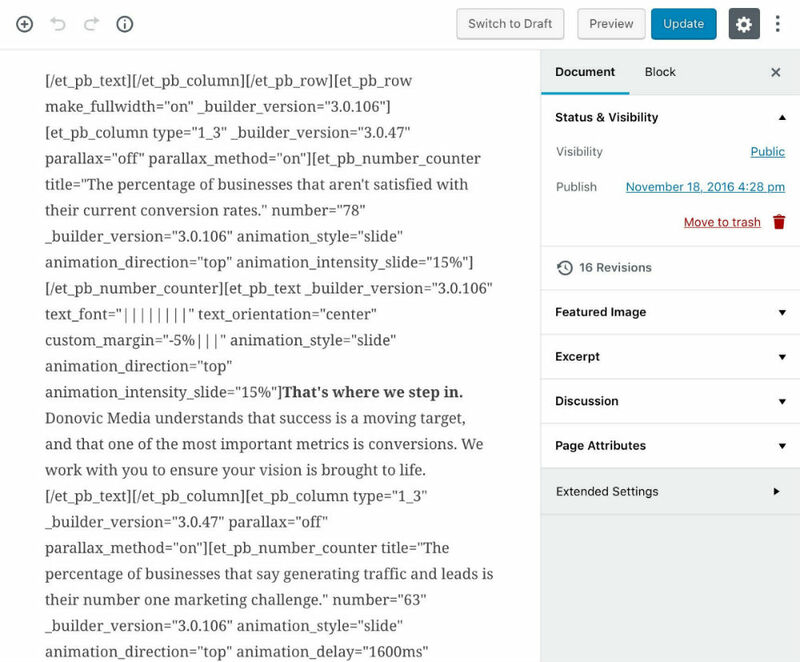 In order for WordPress 5.0 to work fine with existing systems and processes, they should allow an option to disable the new editor and simply use the classic editor. In a perfect world, we’d all be more receptive to change and quick to accommodate those changes. But let’s see what the final product looks like and how it interacts with everything before we cast judgment.